When food shopping, how do you know what you’re buying? You may be surprised at the misleading information on labels. For example, The New York Times recently reported a dispute between Fresh Del Monte and Del Monte Foods—two companies created out of what was a single Del Monte in 1989. Fresh Del Monte is supposed to sell “fresh fruit, fresh vegetables and fresh produce” while Del Monte Foods markets canned and preserved fruits, vegetables and produce. That seems clear, right? But Fresh DM is suing DM Food because it is selling processed fruit and fruit products in plastic tubs on refrigerated shelves of grocery and convenience store produce sections. Maybe that’s not fresh produce, huh? such appealing names as Fruit Naturals and SunFresh. Labels on processed foods, or food “products,” tell very little. For example, there is a nationwide movement to label foods containing GMO ingredients, which are banned in U.S. organic foods and most of the world. variety has a code (see plucodes.com for info). Some labels, such as Fair Trade, are reliable because independent organizations stand behind them to ensure the label is accurate. Some are not. “access” to the outdoors, which could mean almost anything. rated for reliability at http://www.bit.ly/uKE4pP. Be prepared for postmodern organics. We have grown so used to the factory farm model of thousands of acres being planted by a handful of human beings that we’ve forgotten that even a small plot (say 10 feet by 20 feet) can amply supplement the diet of a family for three seasons of the year. Even a 4-by-8-foot “Jim’s plot” can stretch a food dollar and add greatly to the health of a family by providing, safe, fresh, nutritious, wholesome veggies. 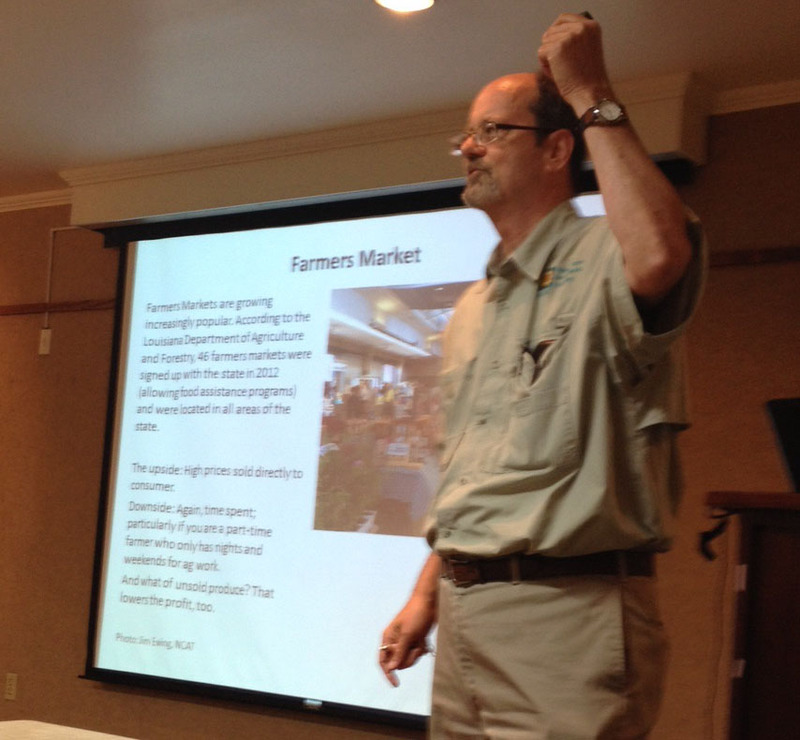 As I told attendees to the Mississippi Urban Forest Council conference this week, if neighbors, families, churches or civic organizations joined to grow food, they could “feed the world” (or those who matter to them), too. • Whether the budding small organic (boutique, backyard or urban) farm movement continues to accelerate with ever more markets opening for them. How will this effect the future? The labeling debate could well decide the future of GMO – if people don’t buy it, farmers won’t plant it, ergo : NO MO’ GMO. That insistence on local, organic food will reduce the giant factory farm dependence (if the government reduced its subsidies propping it up, putting small organic on an even playing field or gave equal amounts to small startups). •Locally produced jobs and an emphasis on health, sounding the death knell for the agri/biz conglomerates that produce the nonfood that is killing us. We each can do our part in this by growing our own organic food – which we can do in our backyards – or by buying organic, rejecting GMO, supporting locally grown food and only voting for those who look out for the consumer first. Local plants & shrubs. Clinton is having a big sale of native plants – perennials, trees and shrubs – in honor of Arbor Day (which is today in Mississippi). The Clinton Community Nature Center Arbor Day Native Plant and Antique Rose sale is Saturday, 8 a.m. to 1 p.m., 617 Dunton Road, Clinton. For more, see: www.clintonnaturecenter.org. Great book: I finally got around to reading Robin Mather’s book: The Feast Nearby: How I lost my job, buried a marriage, and found my way by keeping chickens, foraging, preserving, bartering, and eating locally (all on $40 a week), which came out last year (Ten Speed Press, $24). And I couldn’t put it down. she’s at Mother Earth News. I bought the book on my Kindle. But it has really great-looking recipes in it, so I turned around and ordered a hardback to give to my beautiful wife Annette. If you buy a book twice and tell everybody to read it, is that an endorsement squared!? Come see me: I’ll be speaking Feb. 25 at the Gaining Ground Sustainability Institute of Mississippi conference at Eagle Ridge Conference Center in Raymond on Organic Backyard Market Gardening. For more, see: www.ggsim.org. A lot of us older folks often forget that kids like to see things grow, too. Why not start an organic garden for little sprouts. I saw a really cute seed starter kit for kids, for example, in the Seeds of Change catalog. For more, see: http://bit.ly/wwcanD – or write P.O. Box 4908 Rancho Dominguez CA 90224, or call 1-888-762-7333. Of course, you can assemble these items yourself and probably get more for your money, but it makes it easy if you want to order some of these little kits and give or send them as gifts. Better yet, create a 4×8-foot Jim’s plot, and dedicate that space for kids and grandkids. Make it their own food plot (maybe with a little help from Dad, Mom and grandparents). That’s a gift that gives for a lifetime. These high temperatures – 77 degrees last Friday! – are unusual and causing my greens to bolt and go to seed, but trust me, there’s more cold weather on the way. 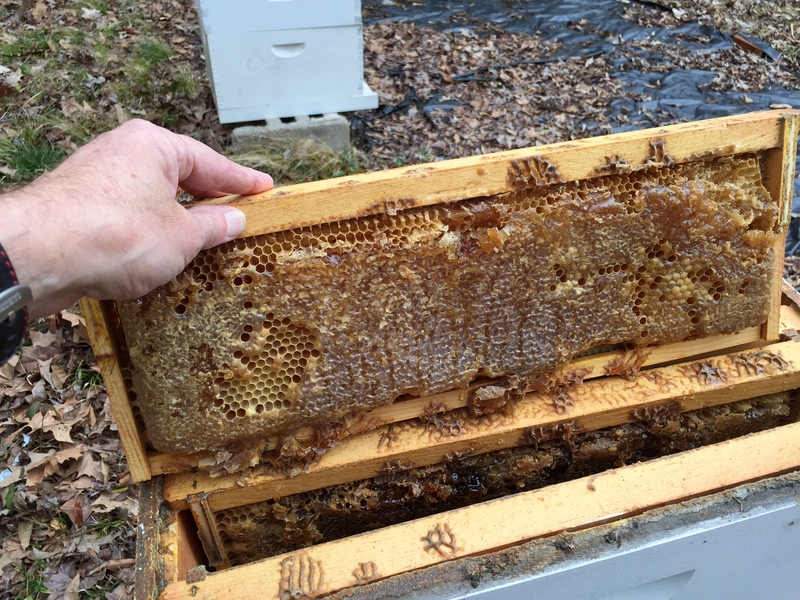 The temptation may be there to start thinking about planting with highs now for two weeks in the 60s and 70s, but February is usually a bone-chilling month. That doesn’t mean that you can’t start preparing now by planning what you plan to plant, ordering seeds, and in a couple of weeks, getting seeds started. To figure out when you will want to plant, count back from the last frost date. Here in central Mississippi, the old folks used to plant seeds on Good Friday, which this year is April 6. To be cautious, in the past, I’ve planted a week after Easter, as we sometimes have a frost that week. Easter this year is April 8; so, that would be April 15. That’s a bit early. We’ll probably set out some plants the first week in March, relying on Agribon to protect them from frost. According to the U.S. temperature tables, last frost date for central Mississippi is March 20-31; there’s a 50 percent chance of 28 degree weather where we are (Lena) on March 9, and warms thereafter. So that’s a pretty safe bet. Of course, seeds won’t germinate until the soil reaches a certain sustained temperature. So, we usually start plants indoors in containers and set them out when the weather starts to warm. Before planting, make sure and put them outside where they are protected but still get some sun for a couple of days to “harden” them for outdoors growing. For optimum growing (to continue to grow crops throughout the year, or to finish up before August, which we prefer, so as to avoid the hottest part of summer), you want to calculate the earliest you can plant after the threat of frost is past. 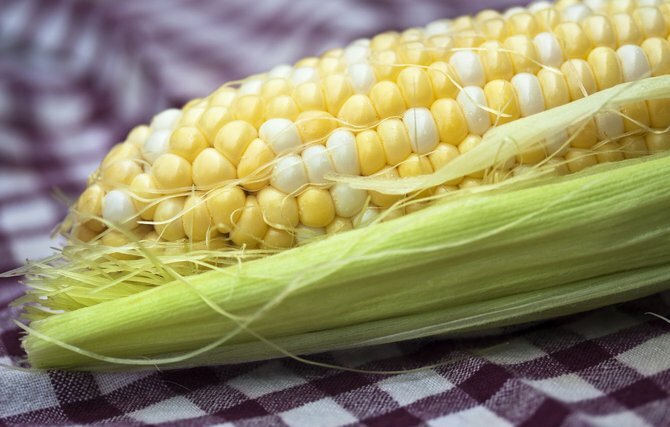 Food Safety: Acres USA reports that in response to Monsanto releasing the first genetically modified (GMO) sweet corn for human consumption, a coalition of food safety groups has started a petition drive to keep it off the dinner plates of an unsuspecting public. 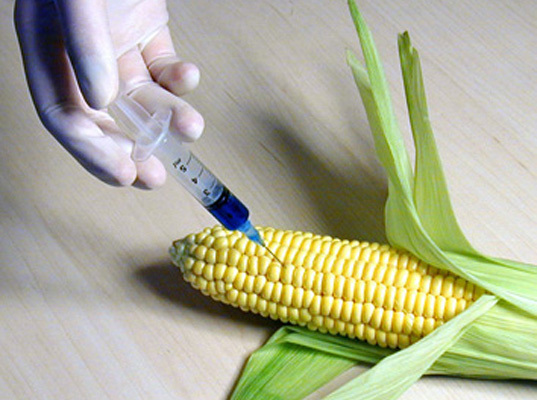 It has collected more than 264,000 signatures from consumers who refuse to buy or eat the corn asking retailers and food processors to reject it, since the United States – unlike Europe – does not reject GMO foods, nor does it require food containing it to be labeled. Are you keeping your seeds from your garden? If not, you might want to make a New Year’s resolution in that regard. Each year, with organic, heirloom and nonhybrid, open pollinated seeds, your garden is adapting to your unique growing. The plants that thrive, if you keep the seeds, will provide proven winners in our climate. Hard drought? Keep the seeds of those plants that survived, and they’ll likely pass that drought resistance to their offspring. Blights hitting some plants? Keep the seeds of those that are unaffected, and they also are likely to produce blight-resistant offspring. Some people swear by hybrids because they are uniquely tailored to certain traits. But the reason heirlooms are heirlooms is because they have enough genetic diversity within them to survive a range of adverse conditions. Keeping those seeds merely emphasizes certain characteristics. Besides, if you keep seeds, native seeds or unique varieties, you are doing your part for the biodiversity of the planet. According to Stephen Thomas, seed collection assistant with Native Seeds SEARCH, growing indigenous foodstuffs and keeping the seeds is an invaluable activity. In the fall issue of Seedhead News, he writes that heirloom crops have all but disappeared. Why not start your own seed library? Share your seeds with friends, family? Doing so ensures a future for rare, homegrown and cherished plants in the future. Also, for a look at a small, Southern organic and heirloom seed company that started from scratch only four years ago, see Sow True Seed at Asheville, N.C., http://sowtrueseed.com. Food deserts: Mississippi counties that are “food deserts,” that is, where fresh vegetables are not available, may receive some help from the U.S. government under a mega funding bill passed last month. See: The Healthy Foods Financing Initiative by the National Sustainable Agriculture Coalition: http://bit.ly/uemAx1. GMO: The Jan. 9 issue of The Atlantic has an astounding article titled “The Very Real Danger of Genetically Modified Foods.” It claims Chinese research could lead to the conclusion that eating GMO foods may actually alter human DNA. True? Don’t know. Scary? Yes. See: http://bit.ly/yS2SRW. Slow Food: There’s a great article in Grist on the Slow Food movement in America seemingly having lost its focus and gone adrift, see: http://bit.ly/wSNUk3. For a list of 10 issues that some believe it should adhere to for it to remain “a broad ‘big tent’ organization dedicated to ‘taste education’ through preserving and promoting food that’s ‘good, clean and fair’ and the farmers, fishers and others who produce it,” see: http://bit.ly/zipXyS.